The Sigma Lens Black Friday Deals 2018 will end tomorrow on Nov 29 ’18 at 11:59 pm ET. $100 off on Sigma 14mm f/1.8 DG HSM Art Lens: $1,499 at Amazon, B&H, Adorama. $100 off on Sigma 20mm f/1.4 DG HSM Art Lens: $799 at Amazon, B&H, Adorama. $100 off on Sigma 24mm f/1.4 DG HSM Art Lens: $749 at Amazon, B&H, Adorama. $50 off on Sigma 30mm f/1.4 DC HSM Art Lens: $449 at Amazon, B&H, Adorama. $100 off on Sigma 35mm f/1.4 DG HSM Art Lens: $799 at Amazon, B&H, Adorama. $100 off on Sigma 50mm f/1.4 DG HSM Art Lens: $849 at Amazon, B&H, Adorama. $100 off on Sigma 85mm f/1.4 DG HSM Art Lens: $1,099 at Amazon, B&H, Adorama. $100 off on Sigma 105mm f/1.4 DG HSM Art Lens: $1,499 at Amazon, B&H, Adorama. $100 off on Sigma 135mm f/1.8 DG HSM Art Lens: $1,299 at Amazon, B&H, Adorama. $100 off on Sigma 12-24mm f/4 DG HSM Art Lens: $1,499 at Amazon, B&H, Adorama. $100 off on Sigma 14-24mm f/2.8 DG HSM Art Lens: $1,199 at Amazon, B&H, Adorama. $100 off on Sigma 18-35mm f/1.8 DC HSM Art Lens: $699 at Amazon, B&H, Adorama. $100 off on Sigma 24-35mm f/2 DG HSM Art Lens: $899 at Amazon, B&H, Adorama. $100 off on Sigma 24-70mm f/2.8 DG OS HSM Art Lens: $1,199 at Amazon, B&H, Adorama. $100 off on Sigma 24-105mm f/4 DG OS HSM Art Lens: $799 at Amazon, B&H, Adorama. 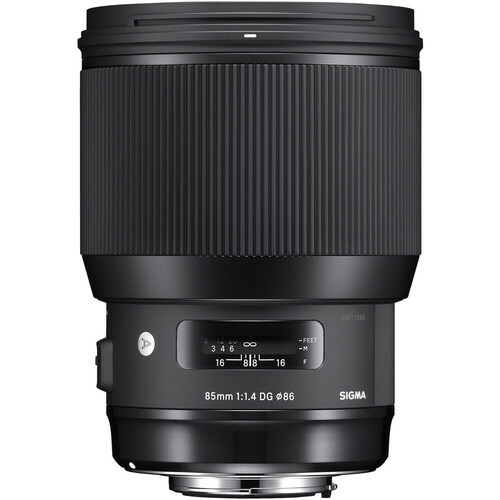 $100 off on Sigma 50-100mm f/1.8 DC HSM Art Lens: $999 at Amazon, B&H, Adorama. $200 off on Sigma 150-600mm f/5-6.3 DG OS HSM Sports Lens: $1,799 at Amazon, B&H, Adorama. $150 off on Sigma 150-600mm f/5-6.3 DG OS HSM Contemporary Lens: $939 at Amazon, B&H, Adorama.